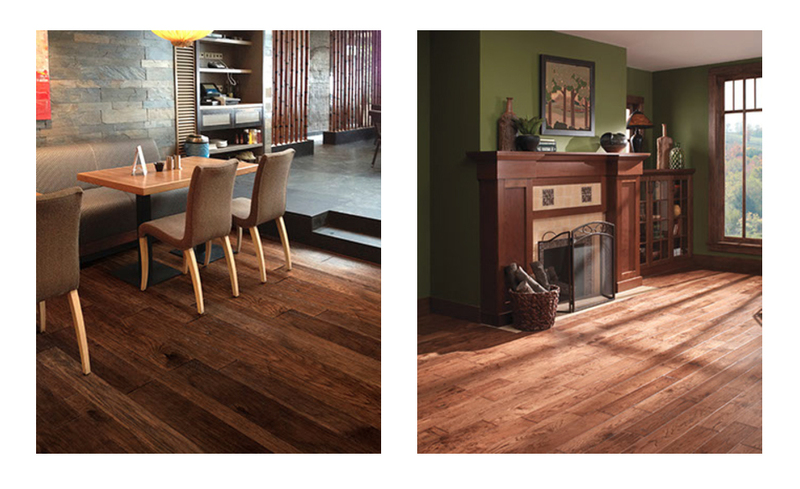 When deciding on a wood species for your hardwood floor it is important to keep in mind color variation. With wood being a natural material it brings with it natural characteristics that can not be controlled. These characteristics are a by-product of the species itself, and is hopefully one of the reasons the decision has been made to purchase hardwood flooring. Some wood species have less color variation than others. This should be completely explained to you by your flooring dealer when narrowing down your decision. Color variation can be attributed to two natural occurances. First, is the natural color of the raw wood, and second is the way the wood absorbs stain. The following photos are examples of the different levels of color variation that one can expect from the wood species that we carry. Hardwood floors with High Color Variation will range from light to dark wood pieces, and have lots of wood character. When board colors are mixed correctly during the installation the flooring pattern is very dynamic and will reflect differently under various light sources. 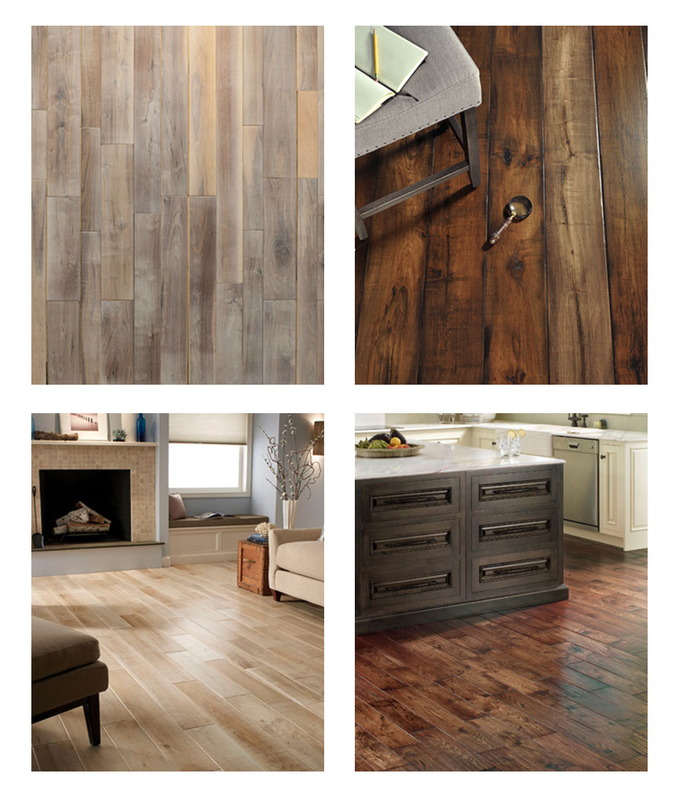 Floors with Low or Medium Color Variation are even toned. There are certain wood species like Birch, and in some instances Maple, that have tame grain patterns and even color tones so that the appearance of the floor is one continuous color. However, with wood there will still be some color variation due to the natural qualities of wood and its uncontrollable uniqueness.